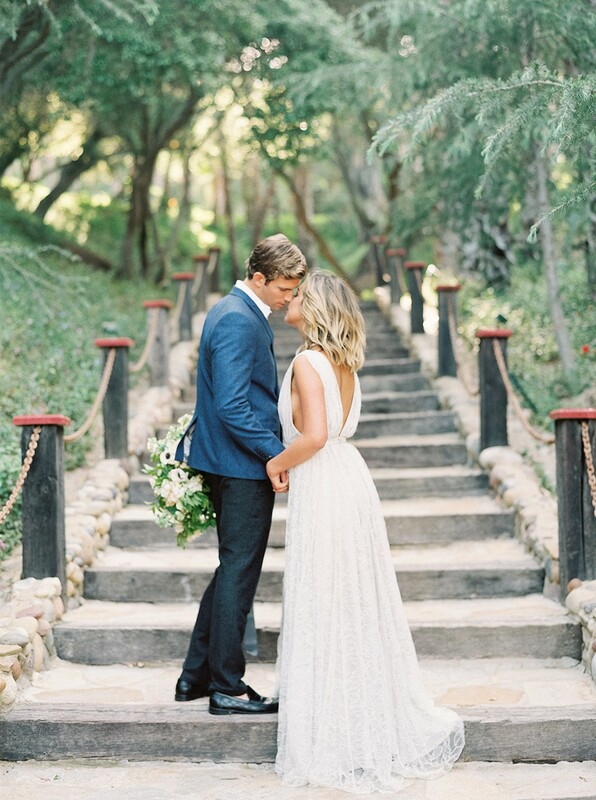 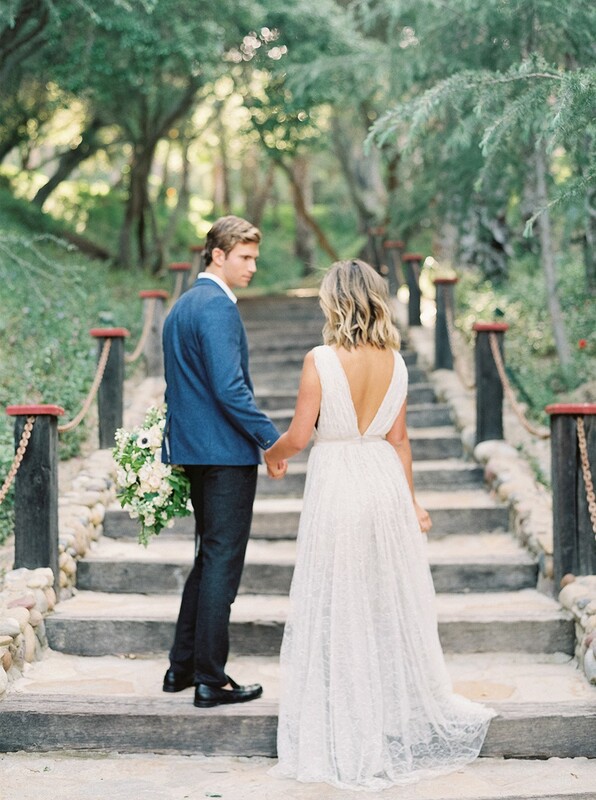 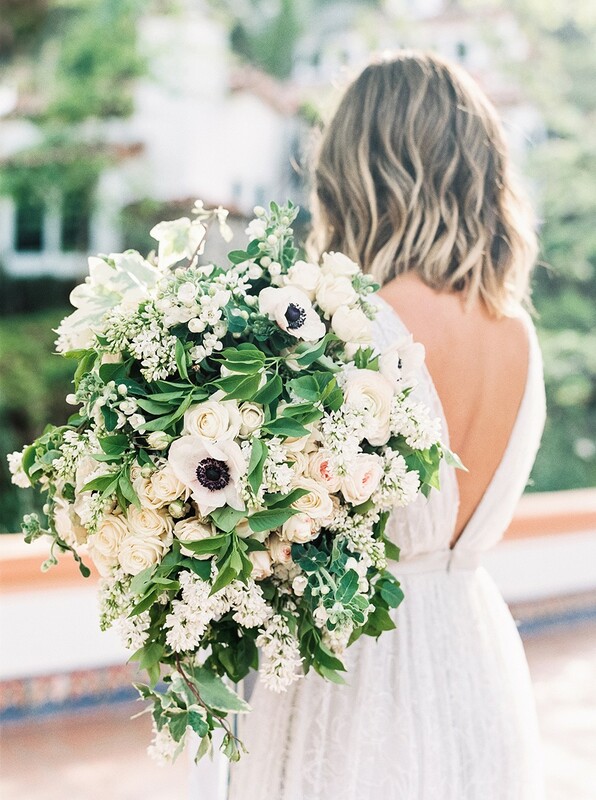 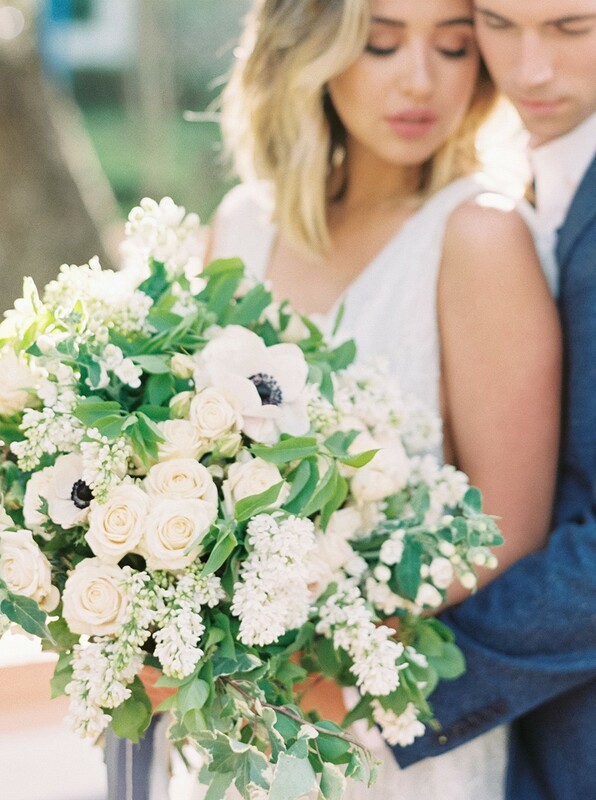 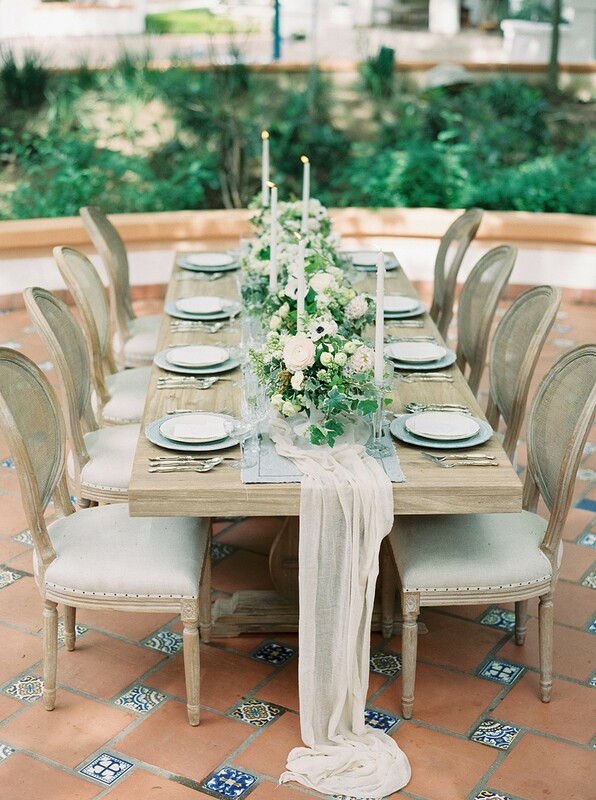 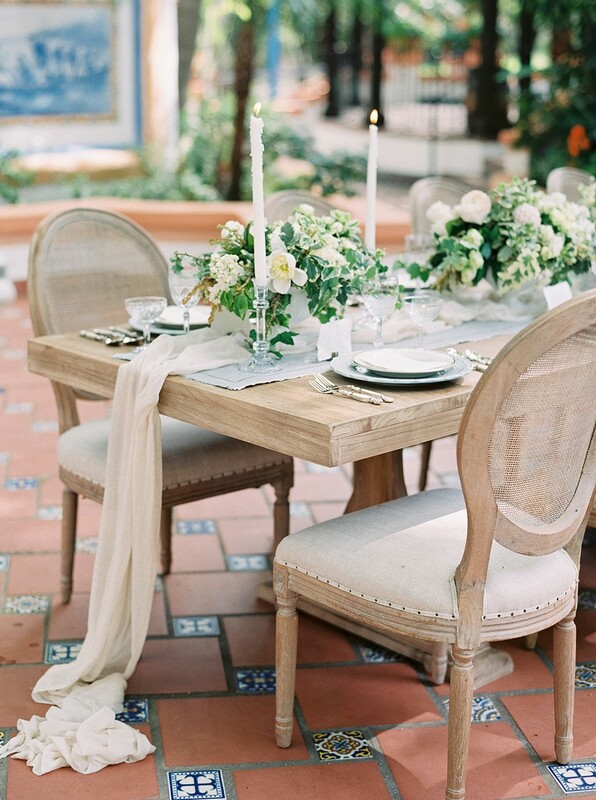 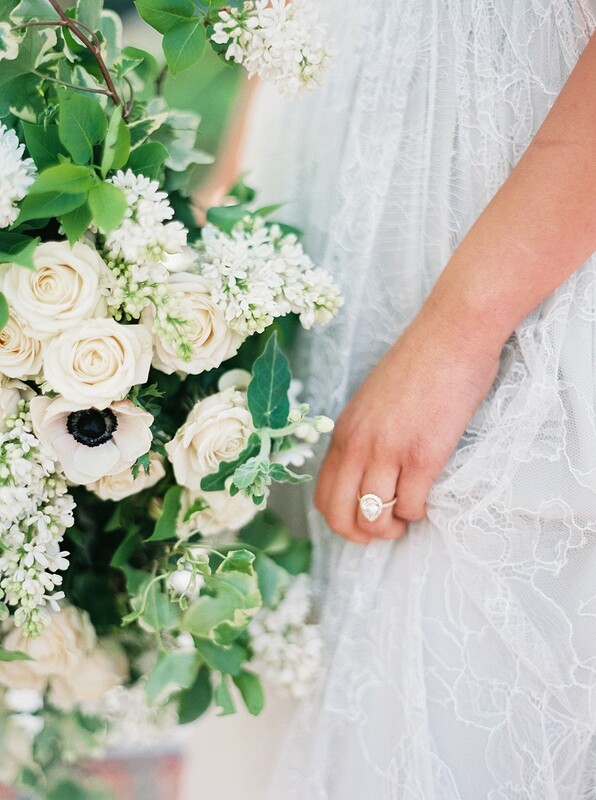 From photographer Luna de Mare Photography: "Hidden away in the foothills off Lawrence Canyon in Southern California, sits a Private Estate & Garden Oasis which Kaleb used to draw inspiration from for tones and design elements. 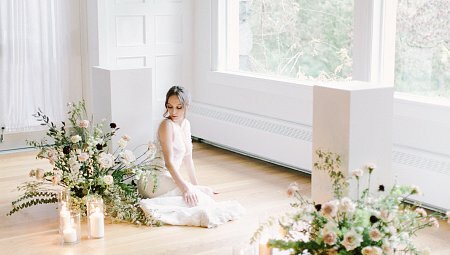 Beautiful nooks featuring Blue & White intricate designed murals served as natural backdrops and lent itself to the clean palette of colors for our florals. 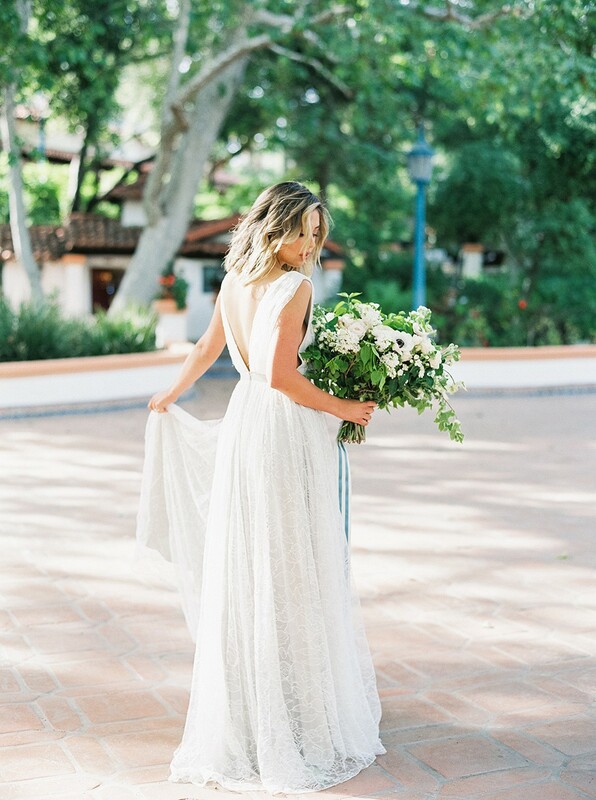 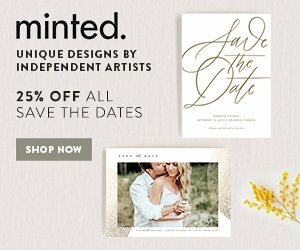 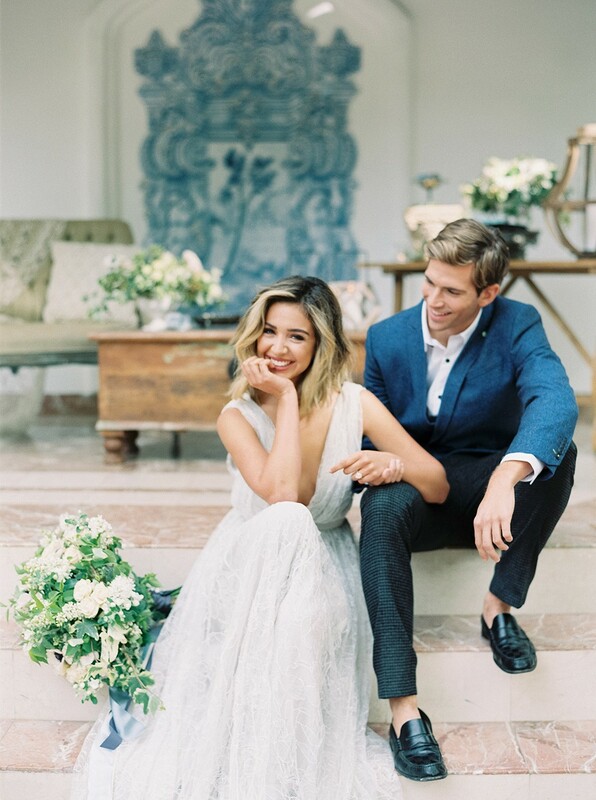 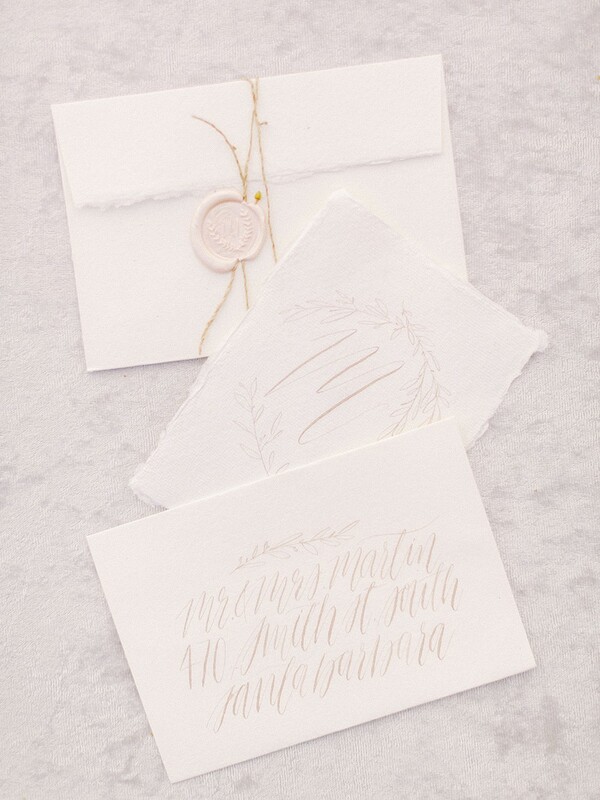 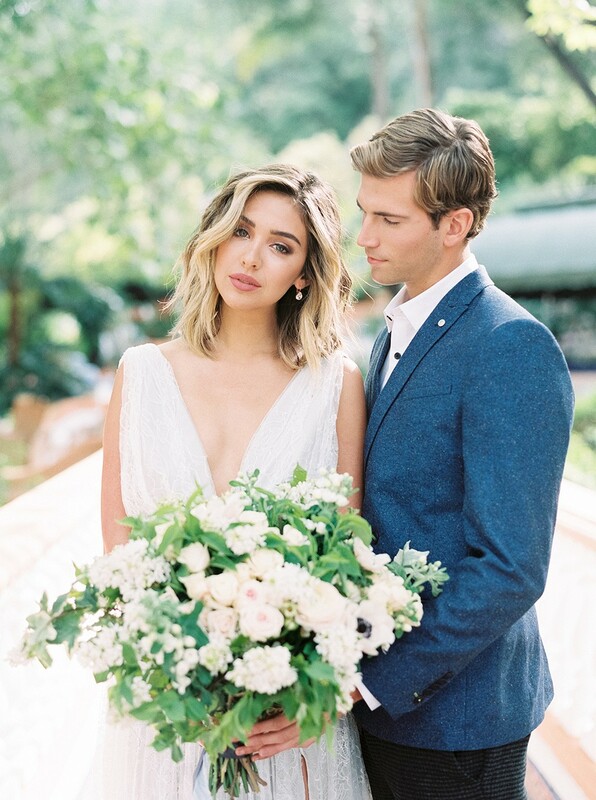 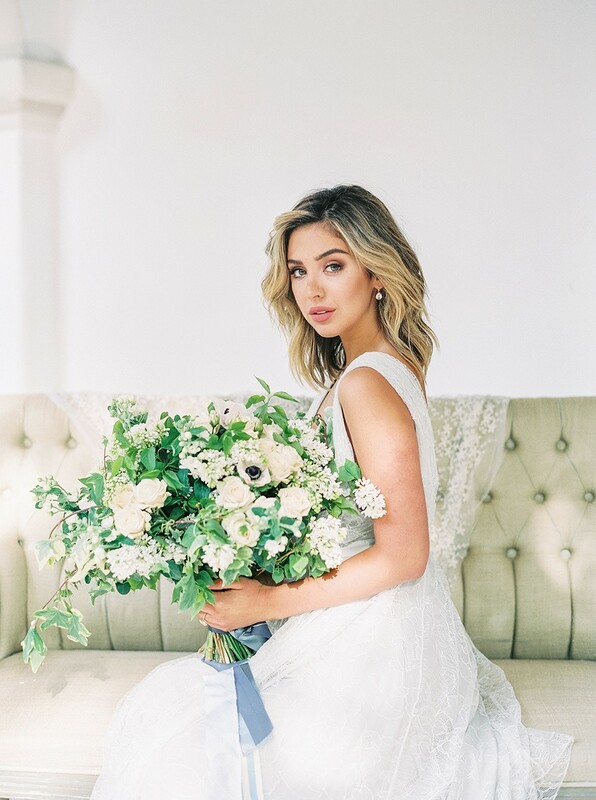 The design was traditional yet fresh, with a nod to more modern details such as the stunning Alexandra Grecco gown which flowed and moved with every turn our Bride, Miss California, made. 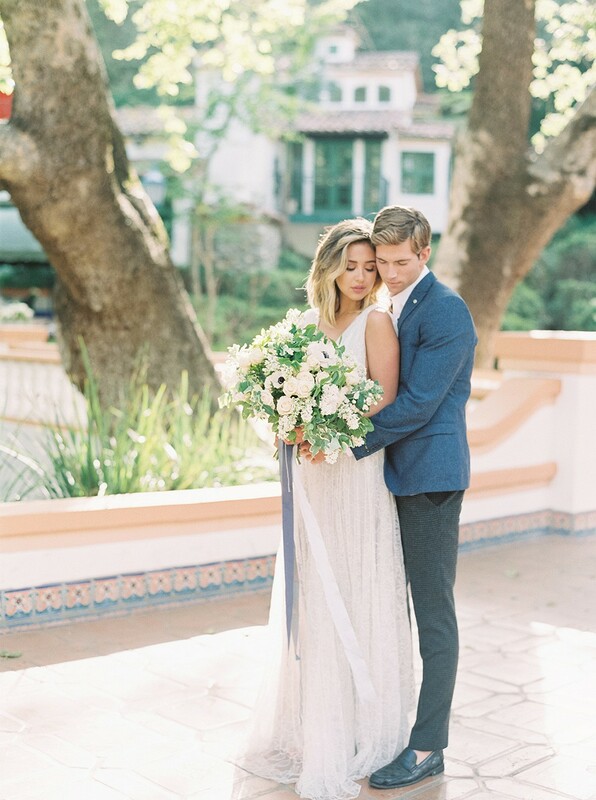 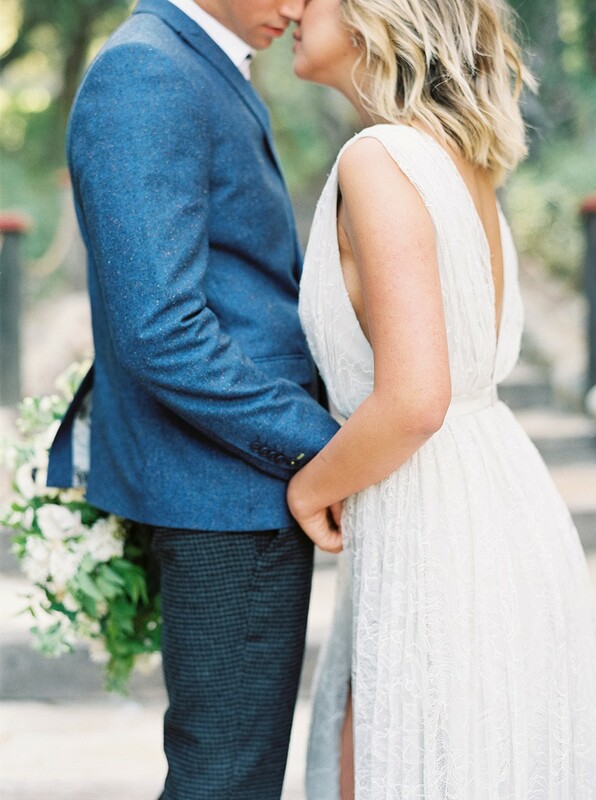 Our Groom’s attire was modern with a trendy blue jacket, and fitted slacks and an old-school pocket watch as nod to heirlooms pieces passed down from generation to generation. 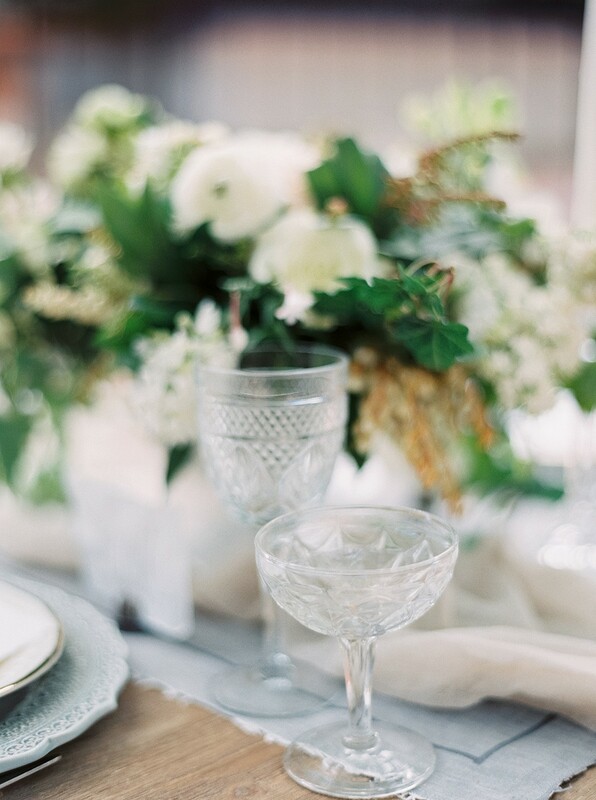 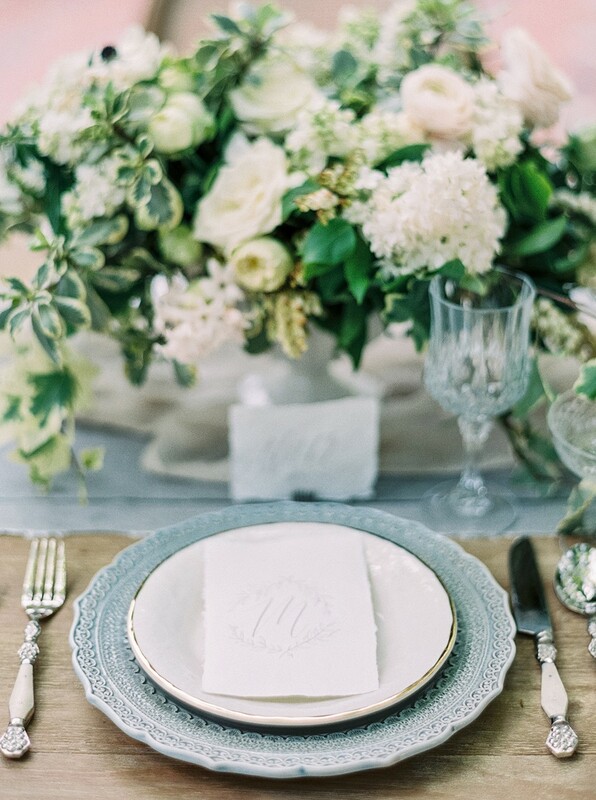 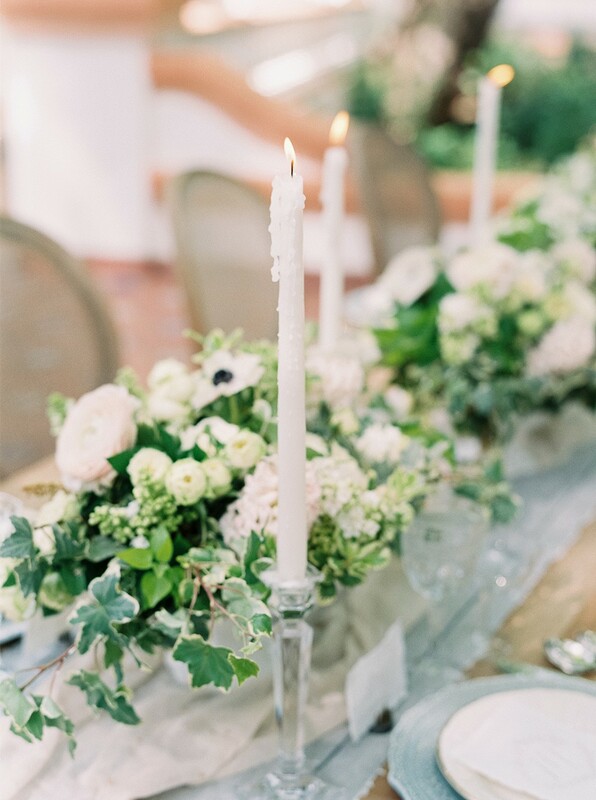 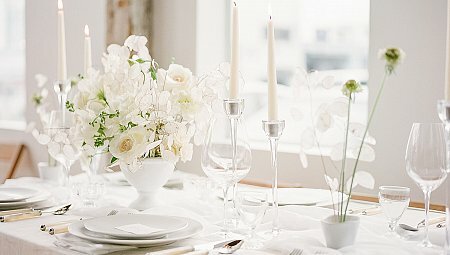 Our table scape was traditional, and used beautiful pieces from the Designers private collection, such as blue Scalloped Lace Chargers, Bone handled flatware, and Crystal stemware, along with the floral centerpieces which were a lush green & white in palette. 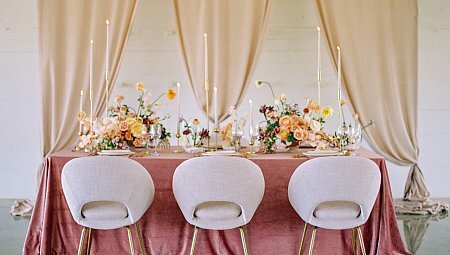 The look was completed by soft shades of silk runners sitting atop natural linen runners for a layered look, with off white tapered candles. 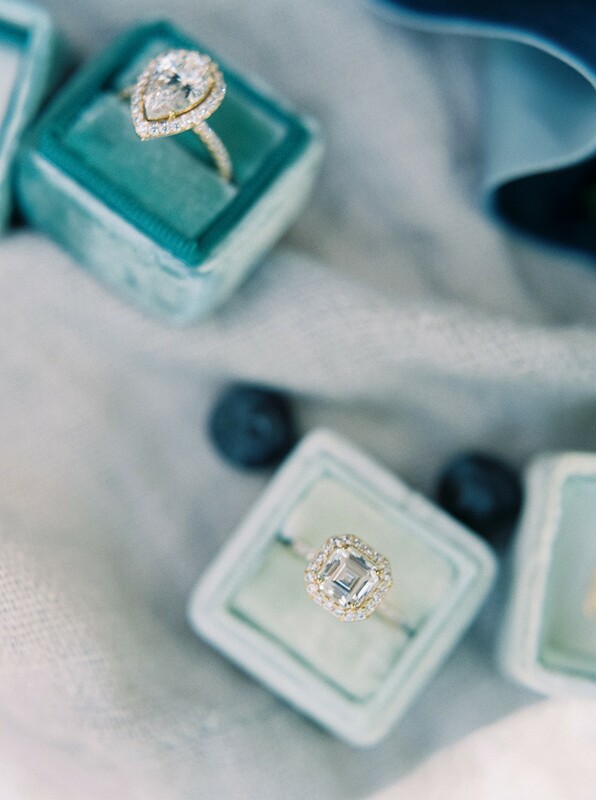 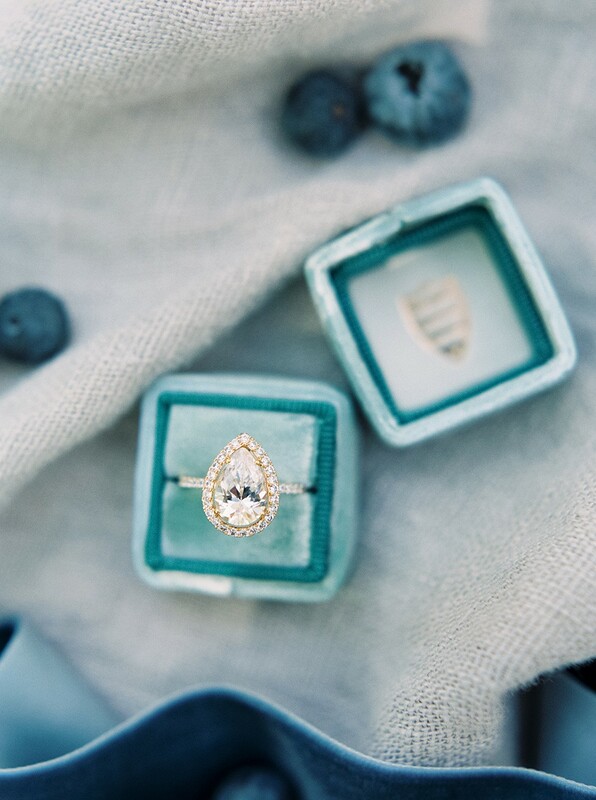 It spoke of a quiet, yet sophisticated elegance."